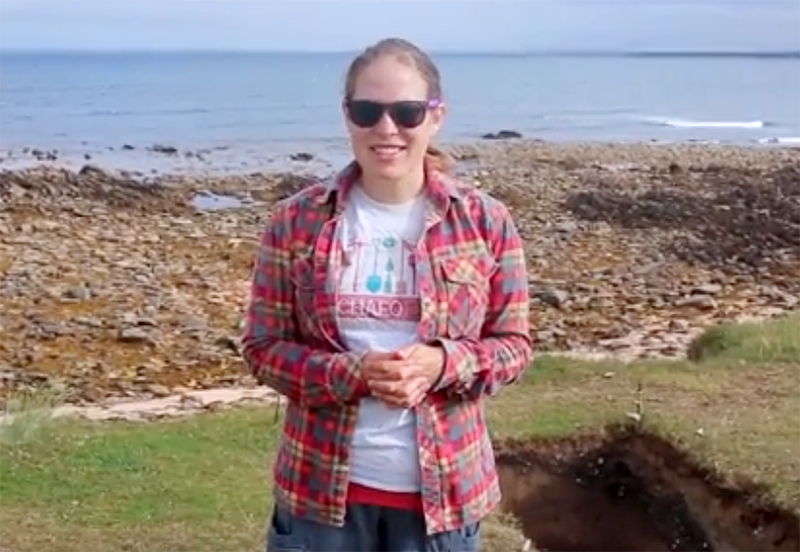 University College Cork PhD student Cari Howle describes her experience directing excavation of a shell midden on Caraun Point. We spent one last day on site doing survey work, then post-excavation analysis began! During our last week at Caraun Point, we had an open day, a guest lecture, and an animal bone workshop. We are now in primary occupation material, finding marine shell, butchered animal bone, and green glass. Our week started with a number of exciting finds, and we continued to work down through the layers in both trenches. Work at Caraun Point continued at Building 3 this week, removing the thick deposits of wind-blown sand.